Innovative Solutions. Strategic Partnerships. Customer Delight. We constantly reinvent ourselves by adapting new technologies through continual research & development. We empower our customers to explore new technology landscapes. SriSeshaa partners customers to integrate people, processes and systems for new revenue streams and higher business efficiency. 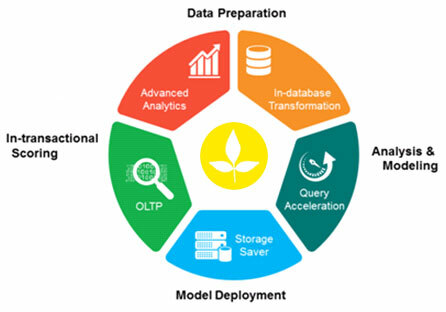 SriSeshaa's insightsul solutions help customers to meet the challenges of cost reduction and innovation by discovering business value of raw data. SriSeshaa brings geographically dispersed stakeholders together on the principles of capturing data at source and providing data on demand. SriSeshaa helps manage large volumes of different formats of business critical data to enable secure discovery for informed decision making. With a wealth of experience partnering clients from various industries, SriSeshaa offers customized domain-specific services and solutions. We help customers to optimize investments, increase profitability, enhance operational efficiencies and minimize risk, to attain industry leadership. 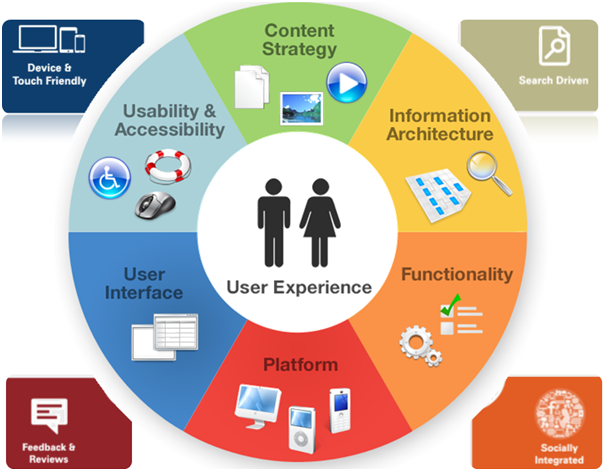 SriSeshaa has developed solutions for engaging patients at every touchpoint. We have developed solutions ranging from compliance through integrated health management. SriSeshaa offers development and testing solutions to driven innovation across all areas of the automotive industry -design, manufacturing and knowledge management. Sriseshaa assists customers to achieve operational excellence by effective alignment of manufacturing, engineering, planning and collaboration processes. SriSeshaa has transformed learning by creating perfect blend of innovations through institute management systems, smart classrooms and interactive content delivery. SriSeshaa improves operational efficiencies and increases customer satisfaction by readily providing information to make critical decisions about in-transit cargo. SriSeshaa partners retailers to develop solutions to streamline operations, reduce dead stock, POS, manage demand and address potential service and product availability gaps. Our esteemed clients across the globe have achieved significant business results using SriSeshaa's best-in-class IT services and business solutions. SriSeshaa provides the opportunities, challenges and support to realize your potential. Join us to leverage the opportunities that await you. 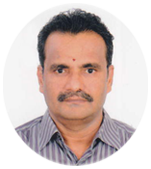 ‒Dr Chandrasekar Dharuman Founder & CEO. A technology entrepreneur with three decades of experience in the global customers from USA, Canada, UK, Singapore and Japan. 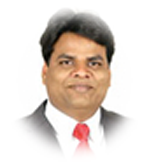 He has built huge delivery teams and developed innovative products that exceeded customers expectations of QCD - high Quality, low Cost and on time Delivery. A business leader who has invested and mentored multiple companies. He has two decades of experience in Sales across 4 continents. He is also the chairman of Leeds HR group of companies specializing in staffing and resource augmentation solutions for fortune 500 companies. A technocrat with more than two decades of experience in managing large teams and heading the different transformation practices. 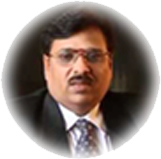 He has spearheaded multiple digital transformation projects in Analytics, Mobility, Cloud, Consumer Electronics, NMS and embedded domains. Copyright © 2017 SriSeshaa, All rights reserved. SriSeshaa's Healthcare offerings address the ever-evolving needs of the Healthcare domain.Our consulting and development services are designed to help healthcare organizations transform operations by reducing costs, streamlining processes and enhancing patient care services. Connectors for EMR integration and health records import/export. SriSeshaa's specialized solutions for Automotive domain helps our customers to stay profitable and competitive by addressing the key challenges of increasing product complexity, compliance and safety regulations. We partner automotive manufacturers to harness emerging technologies such as telematics, mobility, social media and analytics. SriSeshaa assists global manufacturers to reduce operational expenditure, improve process, utilize existing capacity optimally and increase efficiencies, while maintaining product quality and meeting safety and regulatory norms. SriSeshaa partners with customers with big ideas that are transforming the face of education. We help training institutions and learners around the world find new ways to learn, connect and advance. SriSeshaa partners with logistics service providers to develop information systems that integrate and support complex processes in real-time. We innovate process and technology to facilitate efficient movement of goods across the supply chain. SriSeshaa’s retail expertise helps brick-and-mortar retailers, e-Commerce companies, and hybrid retail stores engage with shoppers at the point of purchase, cultivate brand loyalty and streamline operations. 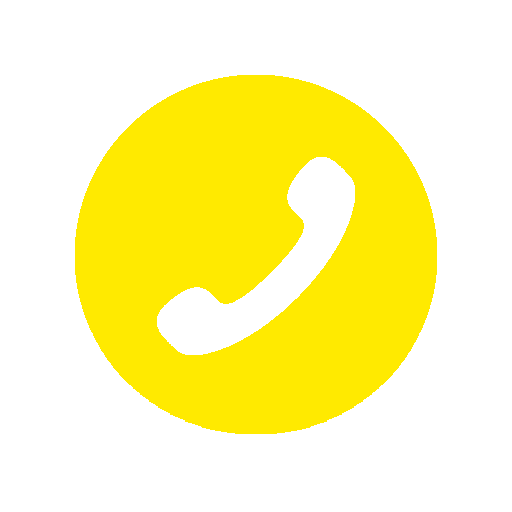 Our innovative solutions leverage the Internet, social media and mobility. We live in an internetworked world of devices. Dynamic decisions are being driven by real-time interactions with all sources of data like sensors, devices and machines. Business process are becoming "Smart" with the "learning" from such large volumes of data. This digital world creates multiple opportunities for industries. With our customers, SriSeshaa explores IoT business opportunities for new business models and revenue streams, while reducing costs and boosting efficiency. Together we've created multiple solutions that have leveraged on our right blend of domain expertise, process and technology capabilities. 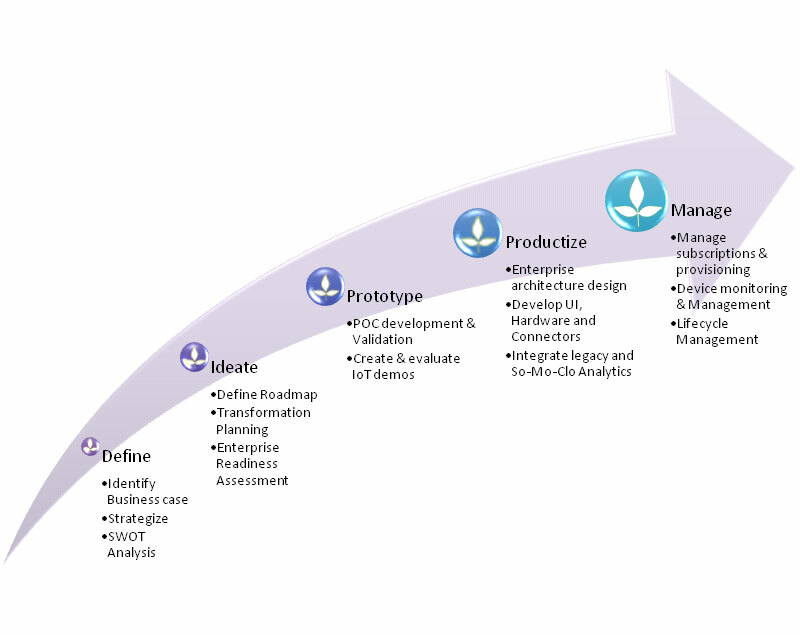 SriSeshaa offers Iot consulting, strategy, implementation, and operational support to manage complex IoT ecosystem. 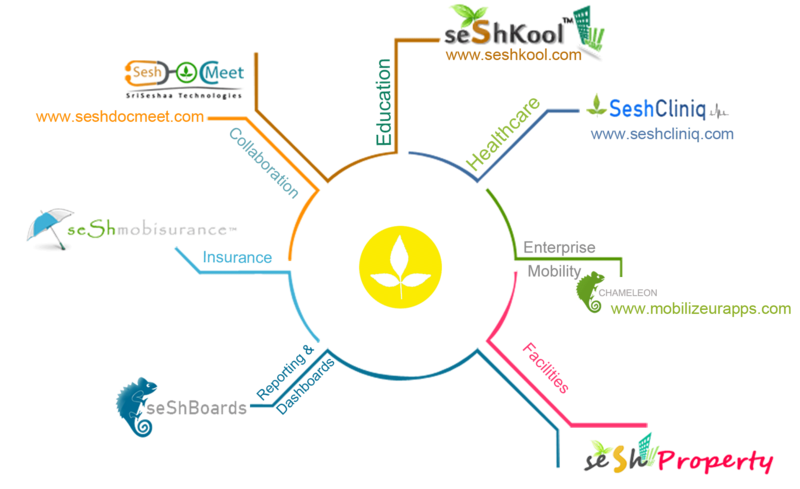 SriSeshaa enables business users to discover and communicate meaningful patterns in data. Our analytics solutions help apply analytics to business data to describe, predict, and improve business performance, recommend action, and guide decision making. Our interventions assist customers to make data-driven decisions and to solve complex business issues. Analyzing and optimizing movement of geographically distributed Employees. Sentiment analysis for an intranet based employee collaboration platform. Analysis of location based content consumption and delivery. The convergence of collaborative technologies of social, mobile and cloud (SoMoClo) encompasses our personal and professional lives. SriSeshaa empowers clients to leverage the convergence of social, mobile, and cloud technologies offers the promise of reduced costs, enhanced decision-making, and innovative ways of working. Our consulting, development and support services transform how and where business takes place. We develop solutions to enable collaboration and knowledge management across business and geographical boundaries with ease. Information is available on the tap to be consumed as and when required. Current business environments generate a massive volume of data at an astounding pace. The exponential growth of information from disparate information sources in different formats is a major challenge for enterprises. Without adequate technologies to manage and analyze data, the organizations lose out of profitability, efficiency and customer satisfaction. 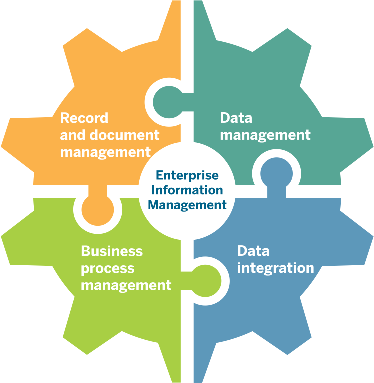 SriSeshaa enables organizations to address these challenges using an integrated enterprise information management approach. Our services encompass the information life cycle, from information strategy and architecture to compliance and governance. Location based content delivery of unstructured data and structure information.